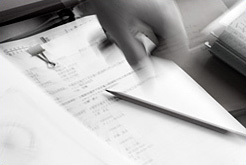 HORN KLEIMANN WAITZHOFER advises in all fields of intellectual property law. The firm specializes in prosecuting, defending and asserting industrial property rights such as patents, trademarks and designs. Our technical focus areas are electrical engineering, mechanical engineering, physics and information technology. The keyword for our daily work is “integrity.” For us, this means not only keeping our promises and consistently delivering honest, high-quality work, but also to keep our clients' interests in mind at all times. Accordingly, we value a close relationship with our customers, as this enables us to get to know their business, technologies and IP strategies. We also strive for creative solutions that offer the best cost/benefit performance.